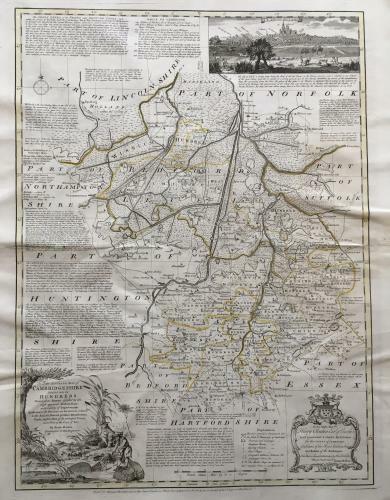 An intricate and elegant map of Cambridgeshire by Emmanuel Bowen produced in the 1760's. Richly decorated with a view of Ely. Very subtle original colouring of major boundaries.